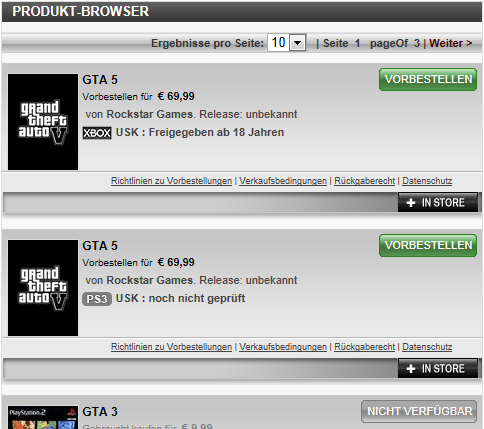 Back in April we reported that GameStop Germany had listed "GTA 5" on its website but took it down shortly after. They have now put it back up for the PlayStation 3 and Xbox 360. Last time it was listed with a January 15th, 2012 release date but this time it is listed as "unknown". So there you have it (again). Will it stay up this time? Does GameStop really know if GTA 5 is coming? Or just another marketing ploy (again)? Let us know in the comments below and join the chat in the forums! Thanks to our friends at RockstarSpy for the heads-up! Interesting. I think they got confused with Max Payne 3, which will release in March. Will be interesting if MP3 comes out on the 18th (or around there since 18 is a Sunday). I don't know if anyone has checked the links lately but the PS3 version has been updated since those screenshots where taken, here is what I found when I clicked on it. 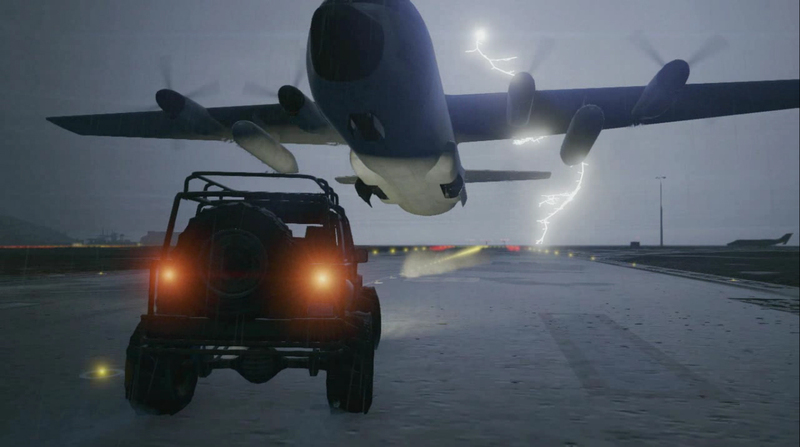 It looks like GTA V is set for release on March 18,2012... Check for yourself. I agree. There is nothing true or usefull on that page. The only web page when you can realy see information is Rockstar games web page. But there is nothing new there. It keeps getting re-posted because GameStop keeps putting it up. I don't see this as any confirmation of anything except GS taking people's money early. As I said to Marney, the guy who actually paid for a pre-order is nuts. I don't think there has been any useful or true news on the rumor pages. Nobody found anything good realy. At the end GTA will be release at 2015. Who knows. But now I have GTAIV:SA mod. It's so good. 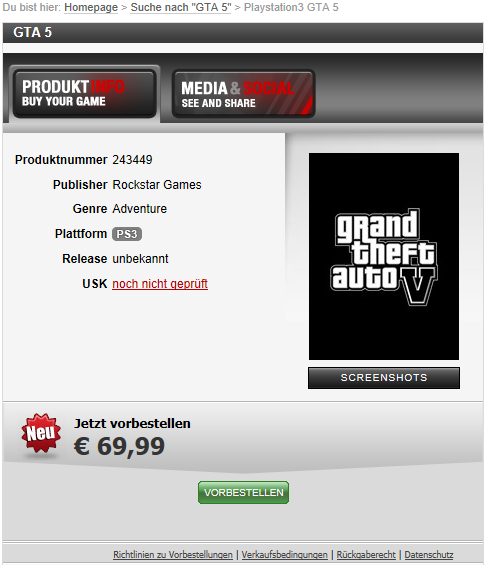 German GameStop Lists GTA 5 (Again) - GameStop of Germany has once again listed GTA 5 on their website. This time the release date is unknown and the only picture is of the fan-made Grand Theft Auto V logo.